At its Data-Centric Innovation Summit in Santa Clara today, Intel unveiled its official Xeon roadmap for 2018 – 2019. As expected, the company confirmed its upcoming Cascade Lake, Cooper Lake-SP and Ice Lake-SP platforms. Later this year Intel will release its Cascade Lake server platform, which will feature CPUs that bring support for hardware security mitigations against side-channel attacks through partitioning. In addition, the new Cascade Lake chips will also support AVX512_VNNI instructions for deep learning (originally expected to be a part of the Ice Lake-SP chips, but inserted into an existing design a generation earlier). Moving on to the next gen. Intel's Cooper Lake-SP will be launched in 2019, several quarters ahead of what was reported several weeks ago. Cooper Lake processors will still be made using a 14 nm process technology, but will support some functional improvements, including the BFLOAT16 feature. By contrast, the Ice Lake-SP platform is due in 2020, just as expected. One thing to note about Intel’s Xeon launch schedules is that the Cascade Lake will ship in Q4 2018, several months from now. 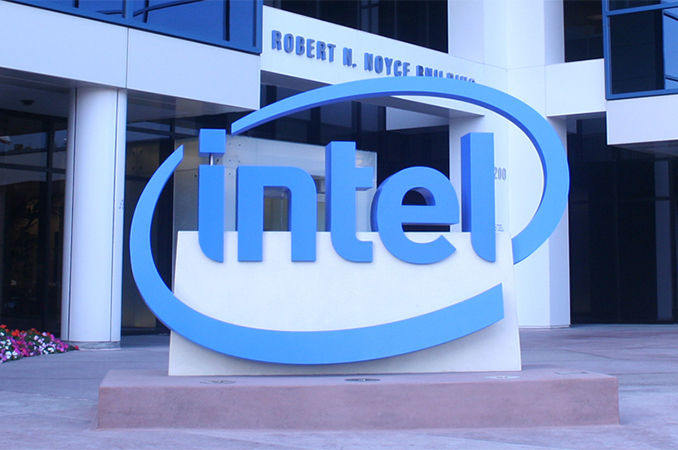 Normally, Intel does not want to create internal competition and release new server platforms too often. 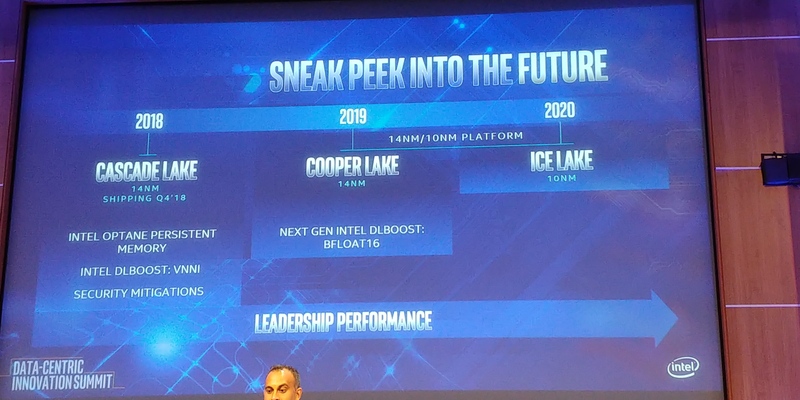 That said, it sounds like we should expect Cooper Lake-SP to launch in late 2019 and Ice Lake-SP to hit the market in late 2020. 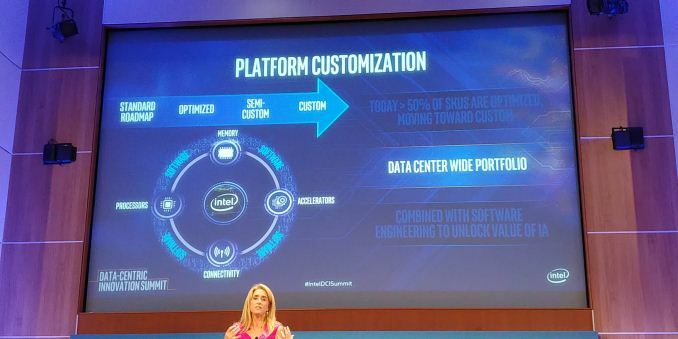 To make it clear: Intel has not officially announced launch timeframes for its CPL and ICL Xeon products and the aforementioned periods should be considered as educated guesses. While the Cascade Lake will largely rely on the Skylake-SP hardware platform introduced last year (albeit with some significant improvements when it comes to memory support), the Cooper Lake and Ice Lake will use a brand-new hardware platform. As discovered a while back, that Cooper Lake/Ice Lake server platform will use LGA4189 CPU socket and will support an eight-channel per-socket memory sub-system. Intel has long understood that one size does not fit all, and that many of its customers need customized/optimized Xeon chips to run their unique applications and algorithms. Google was the first company to get a semi-custom Xeon back in 2008, and today over a half of Intel Xeon processors are customized for particular workloads at particular customers. That said, many of Intel’s future Xeons will feature unique capabilities only available to select clients. In fact, the latter want to keep their IP confidential, so these chips will be kept off Intel’s public roadmap. Meanwhile, as far as Intel’s CPUs and platforms are concerned, both should be ready for various ways of customization whether it is silicon IP, binning for extra speed, or adding discrete special-purpose accelerators. Overall there are several key elements to the announcement. Firstly, Intel is pushing the server market to update and update quickly. Typical server markets have a slow update cycle, so Intel is expected to push its new products hoping to offer something special above the previous generation. Aside from the options listed below, and depending on how the product stack looks like, there is nothing listed about the silicon which should drive that updates. Secondly, if Intel wants to keep revenues high, it would have to increase prices for those that can take advantage of the new features. Some media have reported that the price of the new parts will be increased to compensate the fewer reasons to upgrade to keep overall revenue high. This is going to be a big question mark. With the advent of Spectre and Meltdown, and other side channel attacks, Intel and Microsoft have scrambled to fix the issues mostly through software. The downside of these software fixes is that sometimes they cause performance slowdowns – in our recent Xeon W using Skylake-SP cores, we saw up to a 3-10% performance decreases. At some point we are expecting the processors to implement hardware fixes, and one of the questions will be on the effect on performance that these fixes give. The fact that the slide mentions security mitigations is confusing – are they hardware or software? (Confirmed hardware) What is the performance impact? (None to next-to-none) Will this require new chipsets to enable? Will this harden against future side channel attacks? (Hopefully) What additional switches are in the firmware for these? Updated these questions with answers from our interview with Lisa Spelman. Our interview with Lisa will be posted next week (probably). Running in line with new instructions will be VNNI for Cascade Lake and bfloat16 for Cooper Lake. It is likely that Ice Lake will have new instructions too, but those are not mentioned at this time. VNNI, or Variable Length Neural Network Instructions, is essentially the ability to support 8-bit INT using the AVX-512 units. This will be one step towards assisting machine learning, which Intel cited as improving performance (along with software enhancements) of 11x compared to when Skylake-SP was first launched. VNNI4, a variant of VNNI, was seen in Knights Mill, and VNNI was meant to be in Ice Lake, but it would appear that Intel is moving this into Cascade Lake. It does make me wonder exactly what is needed to enable VNNI on Cascade compared to what wasn’t possible before, or whether this was just part of Intel’s expected product segmentation. Also on the cards is the support for bfloat16 in Cooper Lake. bfloat16 is a data format, used most recently by Google, like a 16-bit float but in a different way. The letter ‘b’ in this case stands for brain, with the data format expected for deep learning. How it differs regarding a standard 16-bit float is in how the number is defined. For a standard IEEE754 compliant number, the standard for computing, there is one bit for the sign, five bits for the exponent, and 10 bits for the fraction. The idea is that this gives a good mix of precision for fractional numbers but also offer numbers large enough to work with. What bfloat16 does is use one bit for the sign, eight bits for the exponent, and 7 bits for the fraction. This data type is meant to give 32-bit style ranges, but with reduced accuracy in the fraction. As machine learning is resilient to this type of precision, where machine learning would have used a 32-bit float, they can now use a 16-bit bfloat16. This is a breaking news that will be updated as we receive more information. It took until 2018 to see 10nm in any actual shipping processors from Intel (original date was expected in 2016). Actual mainstream release of 10nm consumer chips has been delayed until "holiday 2019" and 10nm server chips are still on the roadmap for 2020 at the earliest. I don't know why you would ahve to say that it is a good time to be a consumer, for the prices to go down? From my core 2 duo e5200 that could overclock like crazy for pennies to my current i5 2500k that could overclock like crazy for pennies while AMD wasn't in the competition AT ALL I didn't feel like it was a bad time to be a consumer. Just look at the horizon now, every product that goes out, doesn't cut prices down like almost at all. Unless we're speaking about older ''non competing'' AMD processors pre Ryzen, pretty much every cpu from i5 2500k to i7 7700k hasn'T been going down in price much even tho ryzen brought some competition to them. "From my core 2 duo e5200 that could overclock like crazy for pennies to my current i5 2500k that could overclock like crazy for pennies while AMD wasn't in the competition AT ALL I didn't feel like it was a bad time to be a consumer." "pretty much every cpu from i5 2500k to i7 7700k hasn'T been going down in price"
I don't recall an i5 ever being worth "pennies" either. You could overclock the Core 2 e5200, not so with anything other than a K-series Intel CPU since then. @Galid, up to 2006-2007 AMD was still more or less in the play. And the CPUs that were launched shortly after (2008-2010) were still designed by Intel with AMD's pressure in mind. The price also reflected that pressure. But it's "great" that companies can communicate to avoid "fiascos" like when one of them launches a great product with great performance and price. We definitely don't want that. Nope. Tragedy averted, customers rejoice. @mapesdhs there's OC and OC. First off, you need the much more expensive LGA2011 platform to do any BCLK OC. "Regular" LGA1155 got about... 3% OC headroom. Impressive. Second, even so they still never reached the OC levels of the K parts. And third, a very small fraction of Intel's SKUs actually managed this at all so the 3820 really doesn't prove any point. Back in the day Intel was on 14nm and Apple was on 20nm. Right now Apple is plannining the release of 7nm chips and Intel is still on 14nm.